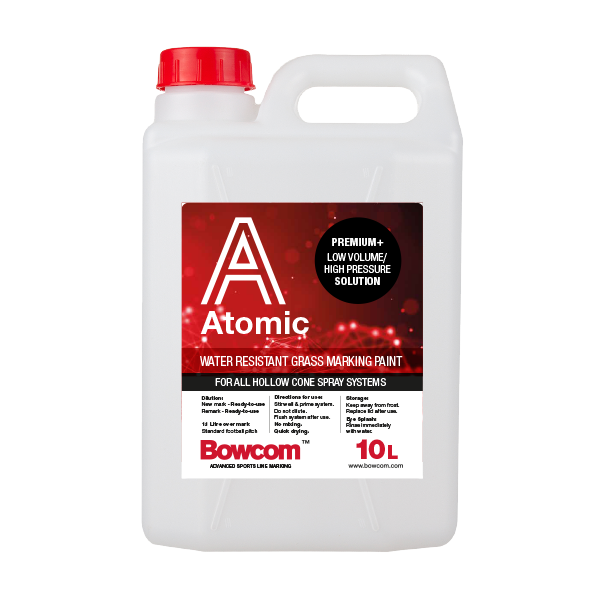 The ultimate blend of highly micronized Titanium Dioxide, resins and surfactants, Bowcom Atomic line marking paint has been specifically formulated to offer a premium ready to use, low volume, exceptionally bright line that will over-mark a standard football pitch with a little as 1.1lt. Available direct from the manufacturer, Bowcom Atomic line marking paint offers unsurpassed atomization through all low volume line marking systems available. 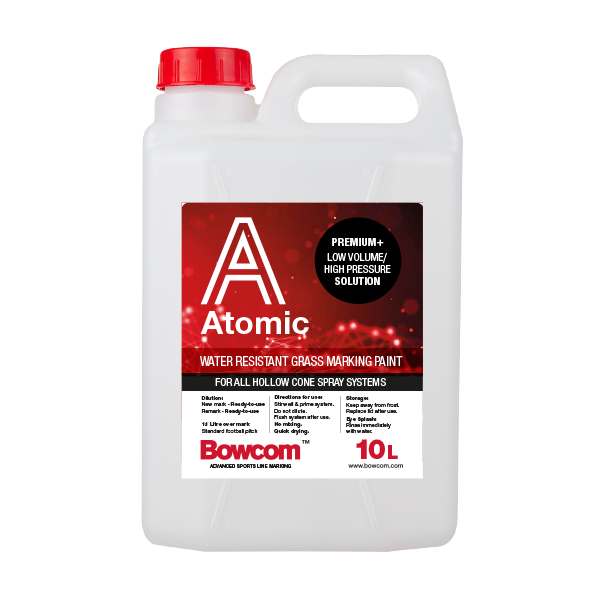 Atomic also remains significantly more stable in solution when stored, compared to other line marking paints tested within this sector. For those wishing to adopt the ultimate ‘Ready-For-Use’ line marking system, Bowcom Atomic has quickly become the new benchmark in the low volume line marking sector, both in the UK and internationally.